Store your umbrellas and keep them from dripping water on the floor with this umbrella holder from Present Time. 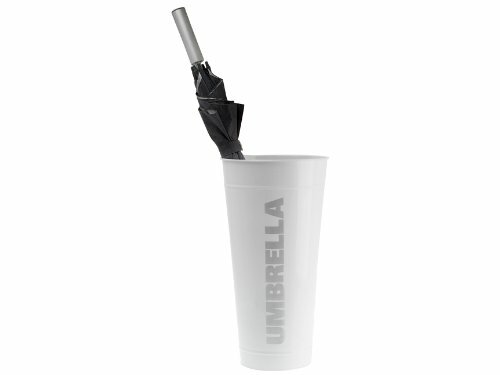 White metal holder features the word umbrella in bold silver font to remind you what it stores. Measures 9.5--inch diameter by 18--inch tall.